The media room has dethroned the home theater as the TV and movie watching venue of choice for Dallas, TX smart homes. In the custom home theater the recliner was king. Dedicated theater seating often featured motorized recline, lighted cupholders and food trays, making them ideal places to take in a movie. Some even offered removable arm rests, so couples could cuddle, and kids could stretch out. In the media room however, the recliner often doesn't pass the functional or aesthetic test. 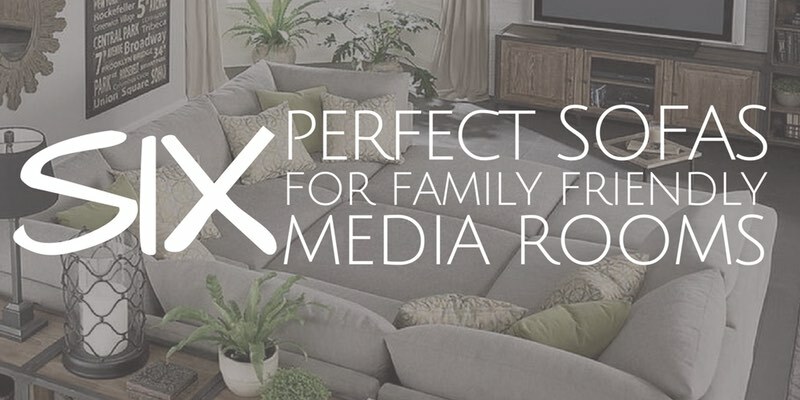 In the average media room furniture will likely be used for more than just taking in a movie. The media room is the ideal home for a big, cozy, sectional. 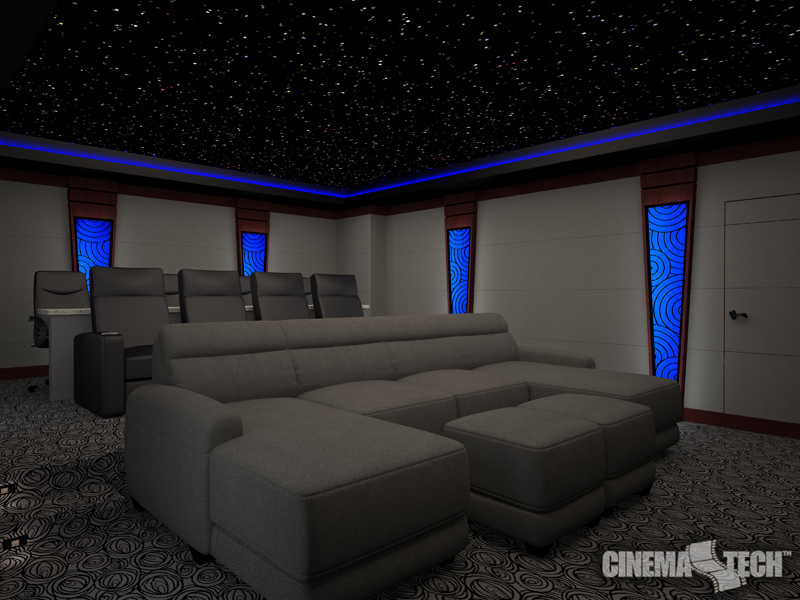 While furniture shopping recently I ran across one of the most amazing media room sectionals, so I decided to look around for other sofas that would make ideal media room options. See below for 6 of my favorites. The Mitchell Gold + Bob Williams Dr. Pitt is probably the coolest sectional available for a large family with a VERY large media room. By combining numerous pieces in different shapes and sizes you can build one of the largest and most comfortable furniture pieces imaginable. If you have a pretty standard sized room you probably won't be able to fit the Dr. Pitt. Heck, in its larger configurations it practically is the size of the average Dallas media room. Restoration Hardware, while expensive for the quality, does have an incredible selection of daybeds. These insanely oversized couches come in all forms, from modern track arms to english roll arms with turned legs. All feature cushions around 45” deep, compared with a traditional sofa cushion that is around 23” deep. This depth gives a family room to cuddle up in front of their 4K OLED TV or with a tablet in their lap. Who knows, you might even read a book on it. Unlike a sectional, the Restoration Hardware Daybed allows you a more traditional furniture arrangement, if you have the space. If the Dr. Pitt and Daybed are just too big for you, but you want a deep sofa for relaxing alone or with the whole family the Crate and Barrel Lounge could be just the ticket. The lounge is really just a large sofa, with a focus on comfort and space. It comes in a variety of sizes, and the price is reasonable for a down blend sofa of this size. The low and deep seat, along with the soft cushions just beg you to fire up a movie and spend a whole rainy Dallas day under a blanket. 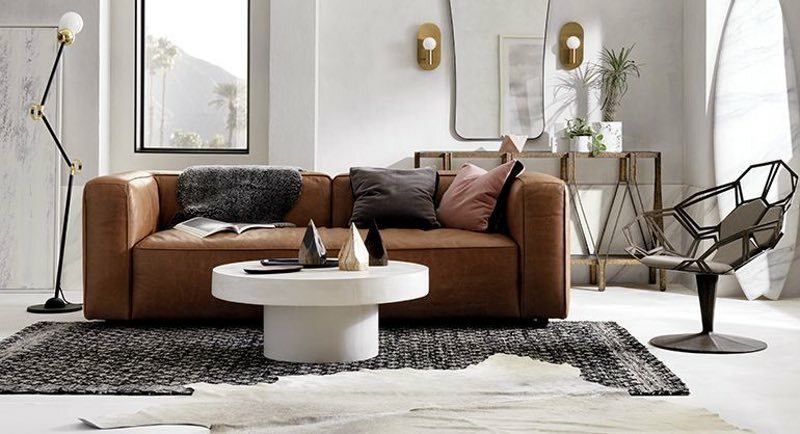 In a brilliant move the makers of the oversized, and high quality, bean bag chair have branched out into a sectional known as the Lovesac Sactional. This insanely modular “sofa” allows Dallas smart home owners to have a sectional as customizable as their home automation system. The Sactional looks far more like traditional furniture than a bean bag chair, but still has a bit of a DIY vibe that might not work in all homes. That said, if you want a piece of furniture kids can abuse and enjoy for years, this might be the one. 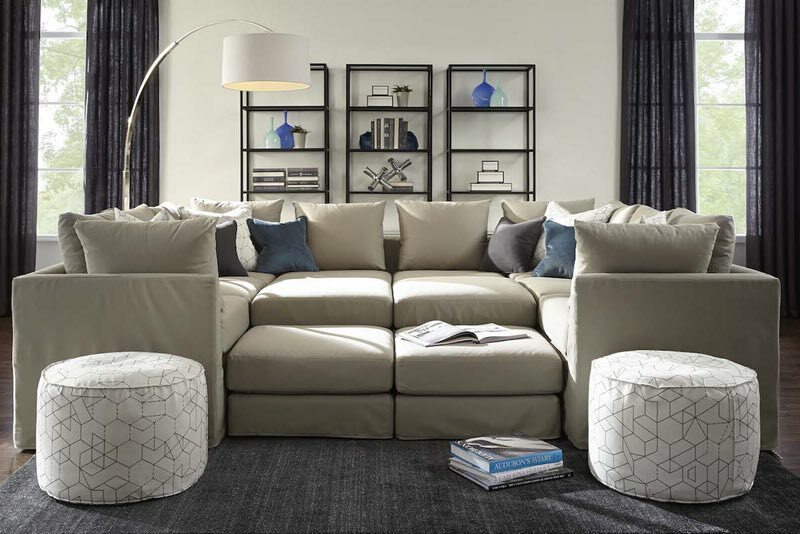 I have never seen the fantastic CB2 Lenyx in person, but if it is half as comfortable as it is stylish, it would make a great media room sofa. The look screams comfort, with almost humorously overstuffed cushions and arms. In fact, it is almost hard to distinguish which areas are for sitting, each piece of the couch appearing like it would make a wonderful seat. 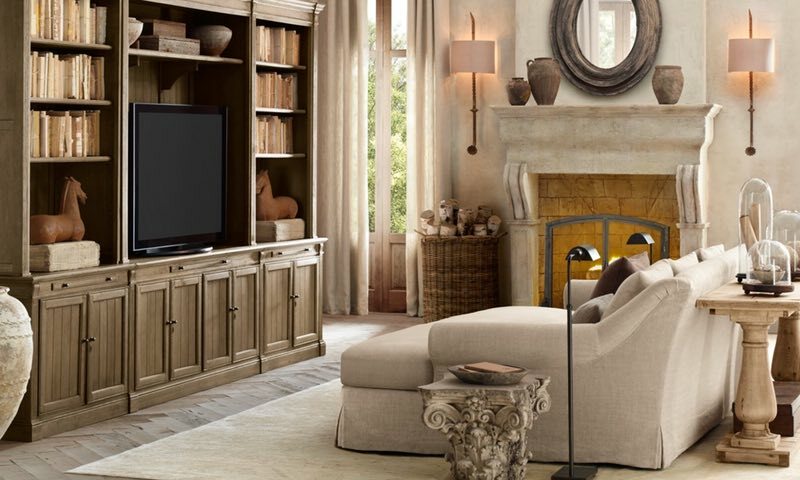 For a modern media room in which style is just as important as substance, the Lenyx, in leather or fabric, deserves a look. I can imagine many Highland Park media rooms that would look incredible with this statement piece of a sofa. Finally, if you still desire traditional theater seating, or you want a custom piece of furniture made just for you, we can help you design and source the perfect piece. We work with multiple manufacturers, such as CinemaTech, who can create a custom piece of furniture to your exact specifications. If you can dream it up we can make it a reality. Don't know what you want or what will work in your space? Contact us today, and we'd be happy to help you create an ideal media room or home theater experience for your DFW smart home.